It’s August already? If you’re a student (or parent of one), the end of summer means one thing: it’s time to get ready to return to school! Back-to-school planning is an important first step to starting off the new academic year on the right foot. In preparation, our posts this month provide helpful tips targeted at students, parents, and educators to help you with everything from gathering the supplies you need, to doing assignments, to understanding the importance of developing strong study habits. 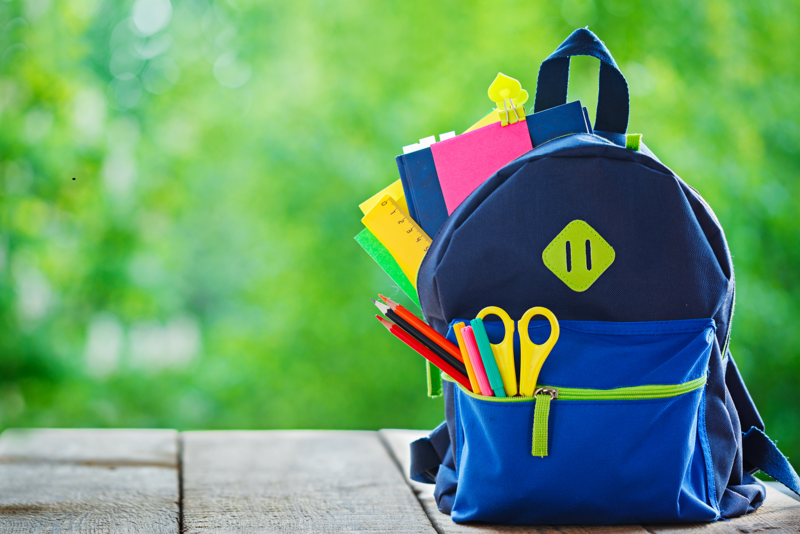 Let’s begin with some back-to-school basics that will prepare you to head back to class! College students may have some additional, more technical requirements. Some colleges require students to work on laptops. You might also need a printer to provide hard copies of your written assignments. If you’re not using cloud storage, you might also want a backup drive, such as a flash drive, to store your electronic files. Once upon a time, back-to-school shopping meant heading to the school supplies section of your local drugstore to buy notebooks and pens. While in-store shopping is still an option, today’s students (and parents) have online choices that can make buying school supplies easier, faster, and more convenient. For example, if you usually shop in person at a big-box shop like Target or Kmart for school supplies, you can save time by visiting the websites of those stores and find virtually the same merchandise there (sometimes you’ll even have additional options). You can also do your online back-to-school shopping via the websites of office supply stores like OfficeMax or Office Depot. Another reason why budget-conscious students might consider online shopping is that they can often save money. Some online merchants offer free shipping right to your doorstep, or provide discounts for buying supplies in bulk. Similar to how spreadsheets can help students track their budgeting and spending, a spreadsheet program can be an invaluable tool when planning your back-to-school shopping. Rather than relying on a manual method to keep track of your needs and purchases, Spreadsheets (compatible with Microsoft Excel) can make the process easier to manage and much more organized. Students will appreciate the fact that the Spreadsheets application offers several template options to choose from—once you launch Spreadsheets, these options will be displayed. You can also choose from among many different types of charts that you can customize depending on how you like to view your school-supply information. For example, you might choose to track your supply needs in a line chart, and your supply purchases or expenses in a pie chart. The Spreadsheets application offers other advantages, too. You can set up multiple sheets to record your supply needs and purchases, which might be useful if you want to separate your supply list into different categories (books, electronics, basic materials) or if you want to keep a record of your supply purchases year after year. Using Spreadsheets, you won’t have to worry about formatting and organization, since so much of that is built right into the program. It comes with advanced formatting tools, predefined table formatting, and for the artistically inclined, more than 230 font choices. What’s more, data entry is a breeze with 50 predefined keyboard shortcuts. And if you’re ready to ditch the paper planner from your supply list and go electronic, Spreadsheets can be just as useful for tracking your assignments. In our next post, we’ll check out some fun yet practical ways to ease back into the school mindset and your studies—with some tips on how WPS Office Writer can prepare you for success before the first day of classes. Enjoy the last month of summer! For more tips, guides, and information on using WPS Office, please visit our Online Knowledge Base.